The 2014 ARN ICT Industry Awards have been announced and presented at a glittering event at the Hilton Hotel in Sydney. 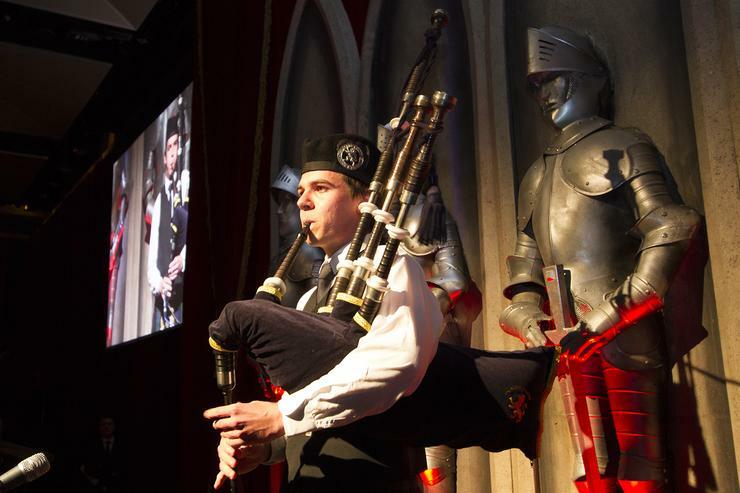 There were kilts, tartans, bagpipes, even a haggis and some Robbie Burns to go with it, and, as usual, the night was a splendid celebration of the year that has been. Hosted by Tony Squires, the packed house loudly applauded and cheered for its favourites as finalists, highly commended and winners were announced. But the most heartfelt moment came with the posthumous induction of NewLease co-founder and group managing director, the late Doug Tutus, to the ARN Hall of Fame. Doug will be forever remembered as an entrepreneur, a charismatic leader of people and a visionary. He was joined in the Hall of Fame by Intel’s Kate Burleigh, Infront Systems’ Allan King, and Microsoft Australia’s David Gage. In following editions of ARN magazine we will present in-depth interviews honouring all three. The speakers for the night were a man who is synonymous with the channel, Hall of Fame inductee (2008) and Nextgen Distribution managing director, John Walters, and the president and publisher of ARN, Susan Searle. ARN congratulates all the winners, the finalists and the nominees and thanks our more than 90 judges who gave so generously of their time.